How Many People Really Are Effected? Previously, I reviewed the various problems regarding the current diagnostics and estimates of number of people affected by Lyme disease. As far as surveillance, the CDC lists the limitations of their methods on their website which includes: under-reporting, lack of state funds to classify and monitor cases, different times of closing of estimates per year (between the CDC and different states), changes in case definitions throughout the years, and surveillance by county of residence, not county of exposure. (So, is it really 300,000?) Due to the fact that our biodiversity of deer, rodents, and mammalian creatures is declining due to our environmental fingerprint, we will probably see a continued rise in cases in the years to come. 2. Genetic, phase, and antigenic variation makes the critter the “master of disguises” using unique mechanisms to evade antibiotics and the immune system’s detection. Furthermore, most tests only look for one species, but different species with differing genetics can lead to different symptoms and differing immune responses (Borellia garini, Borellia afezlii, Borellia hammseli, Borellia miyamotoi)!! 3. There’s some evidence that Borellia is becoming resistant to antibiotics in vitro, meaning the bug may be getting smarter to our attempts to kill it. 4. Physical seclusion which means not only can spirochetes and bacteria change forms and trick our immune system, they can also hide in our bodies by binding to certain substances in the body. This makes them “invisible” to the immune system. 5. Borellia can secrete proteins to adhere to cells and pierce through their walls so they can “hibernate.” Then, they come out of hiding when the immune system least expects it. 6. This bug has become so smart it can go around iron poor environments and thrive on manganese. It can also produce a DNA base critical for its survival! You can read more about this in this blog, where I gave a brief summary of Lyme disease, its complex and various symptoms (it is known as “the great mimicker“), the problem with its “posse” of co-infections, the controversy with treatment, and the existence of chronic Lyme disease (which I get into more below). Thankfully, there are some new methods and tests for Lyme disease which offer some promise. These new methods are evaluating the person’s genomics, searching for the actual protein in the serum (verses the immune response to it), a urinary antigen test, and more. I wrote about some of these on this site here. This may help with finding the critter faster, which could prevent chronic issues. However, will it help with treatment? I do not know for sure. So, as you can see there are a lot of “issues” and many factors involved for one little bugger, right? With the complexity in diagnosis, various symptomology, immune evasion by the critter, and chronicity, many Lyme disease sufferers struggle with finding solutions and physicians who will understand their concerns. My method is to treat the whole person and balance their body, mind and spirit, not just go after the bug. Click here to learn about a new model and integrative perspective on my homepage blog where I go into detail about treating the whole person versus killing the bug. 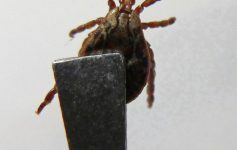 As Summertime Hits, Here Comes the Ticks! J Clin Microbiol. 1999 Dec; 37(12): 3990-3996. Clin Infect Dis. 1997 Jul;25 Suppl 1:S31-4. Infect Drug Resist. 2011; 4:1-9. Infect Dis Clin North Am 2008 Jun; 22(2): 217-234. IFM. APM: Immune Module. Lyme Disease. Rancho Mirage, CA. March 2015. Infection and Drug Resistance. 2011;4:97-113. Infectious disease clinics of North America. 2008;22(2):217-234. Journal of Biological Chemistry, 2013. Previous Article Regulation, Standardization, Quality Control- Oh My!